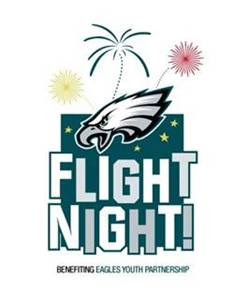 Eagles Flight Night is Back!!! The first chance to see the entire 2010 Philadelphia Eagles Team at Lincoln Financial Field is at the 2nd Annual Eagles Flight Night! on Thursday, August 5th. This exciting event offers something for the entire family: fun, football and fireworks, player intros and interviews, a full-contact practice, thousands of random prize giveaways including jerseys right off of the Eagles players’ backs, autographed merchandise, interactive activities, play calling by Merrill Reese, plus much more. All proceeds support Eagles Youth Partnership, the charitable wing of the Philadelphia Eagles. For the price of a $10 children’s ticket to Eagles Flight Night!, the Eagles Book Mobile program can provide new books to four children. For the price of an adult ticket on the 50 yard line, the Eagles Eye Mobile program can provide a pair of prescription eyeglasses for a child who desperately needs them. Charge-by-Phone, 800-745-3000. Prices start at $20 for adults and $10 for children, 12 and under, who purchase seats near the end zone. Tickets between the 40 yard line markers cost $30 per person. Those who purchase Club seats, at $35 a ticket, will have access to an air conditioned indoor Club area and the opportunity to meet Eagles Cheerleaders. So… would you like to go to The 2nd Annual Eagles Flight Night? 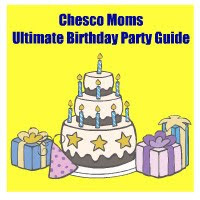 We are giving away 2 tickets to the super fun event on Thursday, August 5th…. Stay tuned! sounds like a lot of family fun! thank you for posting this info. I hadn’t heard anything about this until now!